As CEO of The Empathy Business, Belinda Parmar believes that building an empathetic environment where people can bring their "whole selves" to work is key to creative success, writes Nicola Kemp. 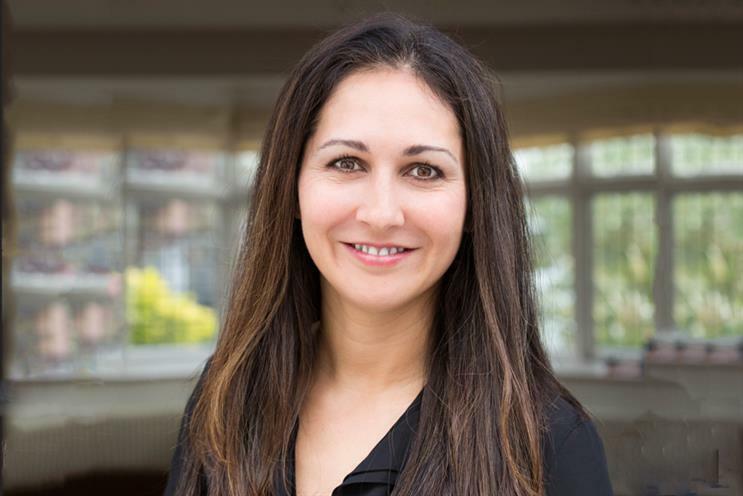 Belinda Parmar, the CEO of The Empathy Business, who is speaking at Campaign Underground next month, is focused on bridging the "empathy gap" and ushering in a new era of emotionally intelligent brands and business leaders. She says: "If you are not an emotionally intelligent leader, you can hit the numbers at first, but, as Silicon Valley shows us, sooner or later it will all fall down. According to Parmar, a generational shift is afoot in a workplace where, for the first time in history, five generations must work side by side. "The whole concept of the corporation was that it was run by men, designed by men. The entire structure of business was built on hierarchy, when it is collaboration, empathy and purpose that you need both to truly deliver and to attract the best talent," she explains. Parmar points out that the average Millennial will have 20 jobs in their lifetime, whereas many of today’s business leaders will have held just four. It is a shift that has significant implications for the workplace, as it means there is a "bigger need for a psychological safety net". Parmar, who is currently working with a media agency to work out how to motivate a 27-year-old with "meaning and not money", believes the desire to be emotionally recognised – as consumers or employees – is a growing trend. But surely the notion that meaning trumps money is overplayed, when so many in the industry jump ship in search of a bigger pay cheque? Not so, says Parmar, who believes when people leave in search of a bigger salary they have already "emotionally checked out" of their current company. Or, worse still, the company lures them back with a bigger pay cheque, when the relationship is already doomed. "Employment is rarely just about the money; emotional recognition is so much more powerful," she adds. It is a trend that Parmar argues is contributing to a new wave of technology-driven solutions, which will empower leaders to deliver continual feedback to staff. Salesforce, a CRM software company, has already created an app that can deliver this service. "Emotional recognition will signal the death of the annual 360-degree appraisal," says Parmar. Of course, the power of emotion in advertising is well established. Brands such as John Lewis have built their reputations on having the nation collectively sobbing into its teacups. Yet in an ecosystem in which terrorism, hatred and the savagery of humanity are part of consumers’ daily digital diet, are brands facing up to a collective numbness that makes it nigh-on impossible for them to connect with consumers on a meaningful or emotional level? Parmar concedes that the UK is an "emotionally constipated nation", but, she says, this does not negate the fact that people want to connect on an emotional level. In essence, emotion is core to cutting through the clutter. The industry may be content to shed a few tears at a melting snowman, errant penguin or a solitary man on the Moon, but what about within the confines of the office? While the rhetoric of "bring your whole self to work" is in full swing, is the business world really ready for unfiltered emotion? Parmar claims it is. "Fundamentally, what is the cost of not being authentic? If there is a gap between who you are at work and who you are as an individual, you will not reach your full potential," she says. A new breed of emotionally driven and empathetic leaders is already successfully bridging the empathy gap. Key figures such as Karen Blackett, the chairwoman of MediaCom, and Marc Benioff, the founder, chairman and CEO of Salesforce, who have taken a stance on inclusion and tackling the gender pay gap, respectively, prove the business benefits of emotional intelligence. According to Parmar, how to create an empathetic environment where individuals can thrive is not a "nice to have", but an essential challenge facing organisations seeking to create purpose-driven brands and businesses. The second immersive edition of Campaign Underground, in association with Total Media, aims to ease the friction between analytics and emotion, exploring how the modern marketer can meaningfully measure emotional loyalty and influence. "The Economics of Emotion" takes place at Proud Camden on 20 September. Click here to find out more and book tickets.